The Roquito® pearls are a small variety of chilli pepper which has a mild chilli taste to them, they are grown in South America. 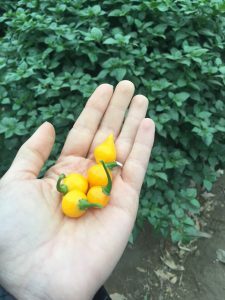 These small, teardrop-shaped peppers originated in the Peruvian Amazon. 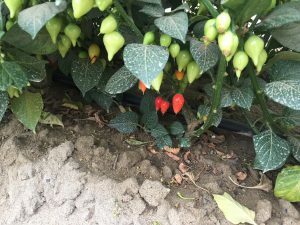 It took two years for the farmers to perfect the growing and cultivation process of these peppers. The seed is a wild cross of a cherry and a jalapeno pepper. The Roquito® pearls can only be hand picked by over 3,000 farmers that gather in the peak season to the fields to harvest the peppers. The peppers are then marinated in a special brine that gives the pepper their famous and unique flavour. The pearls have an exceptional sweet and tart taste with a touch of heat. The pearls come in three colour variations : a red, a slightly milder yellow and a white. How do I use the pearls? 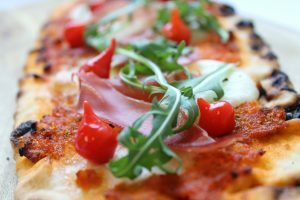 Their cute tiny size and the teardrop shape bring a refreshing touch and great visual for topping pizzas and salads. They wonderfully pair with a cheese and charcuterie platter as well, or just as a topping for a meat or fish course!